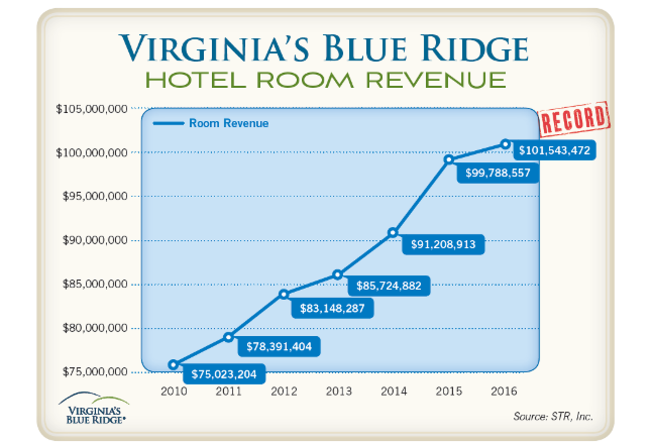 For the first time ever, Virginia&apos;s Blue Ridge lodging industry experienced record Room Revenue totaling over $101 million, a 1.8% increase over the previous year. Approximately 1.2 million hotel rooms were sold, resulting in an increase of 1.7% according to STR, INC. A record number of sports groups and events held in 2016 attributed to this growth. "We are grateful to our funding partners (including the Cities of Roanoke and Salem and the Counties of Botetourt, Franklin and Roanoke) and our 1,250+ industry partners who work collaboratively with us every day to make Virginia&apos;s Blue Ridge the top mountain vacation destination in Virginia," said Landon Howard, President of Visit Virginia&apos;s Blue Ridge (formerly the Roanoke Valley Convention & Visitors Bureau). 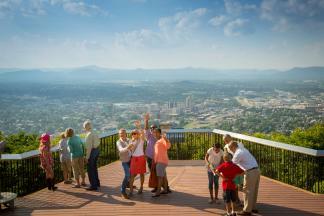 Tourism is BIG business generating over $800 million annually in direct spending and 7,793 jobs. 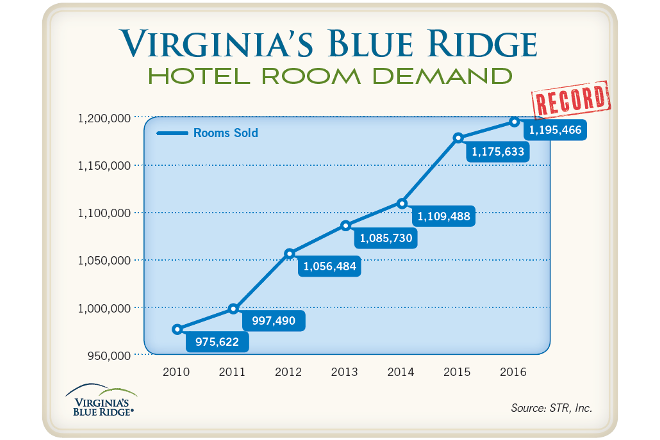 Having a strong tourism industry is vital to job creation and economic growth in Virginia&apos;s Blue Ridge.